Joe has been in the hospitality industry since 1976. He is best known for managing Robson Street’s acclaimed Italian restaurant Caffé de Medici for over fifteen years, where he mastered his Maitre D and Sommelier skills. During that time, he received several awards from Wine Spectator Magazine and the Vancouver International Wine Festival for his eclectic 600 label wine cellar list. Food, wine and service are Joe’s passion. With a focus on attentive and professional service, nothing gives Joe more pleasure than seeing guests totally wowed from their experience. 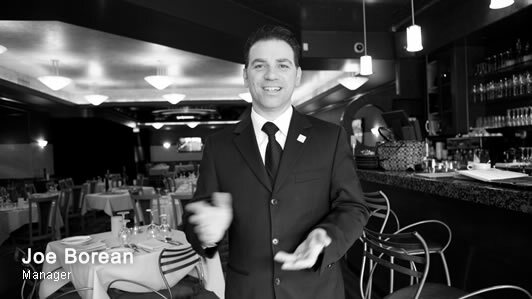 Joe now brings his years of experience and expertise to Federico’s Supper Club - Vancouver's Top Italian Restaurant - and may be contacted at joeborean@federicossupperclub.com or by calling the restaurant, 604.251.3473.